It’s the Knitting and Stitching show in Harrogate 21st-24th and as a member of the British Tapestry Group I was asked if I could help out on their stand and was delighted to be able to do so – I’ll be there on the on the Saturday and Sunday, on E10 – so do pop by and say hello if you’re coming along. With all I’ve got on my plate I had been stressing quite a bit so when they asked if I’d like to contribute a tapestry to their display I said thanks but no thanks, I had nothing of a suitable size and of course wouldn’t be able to make something in time. But then a couple of days passed some of which I spent sketching and as often happens in Freethonia, a really stoopid idea came into my head. I had three shop/gallery orders to fill, I had to host an evening of gin-ridden harpies (and inevitable hangover to deal with), do my grown up job and get The Hanging Tree finished. What the hell, let’s design and weave a tapestry for the Knitting and Stitching Show too, and just for fun, let’s leave it until the last minute! The most detailed areas were the eyes and lips and I thought they would work better vertically. I’ve wanted to get over my phobia of weaving on one warp and so decided it would be heavily outlined. I couldn’t find too much information out there to guide me but think I got there in the end. 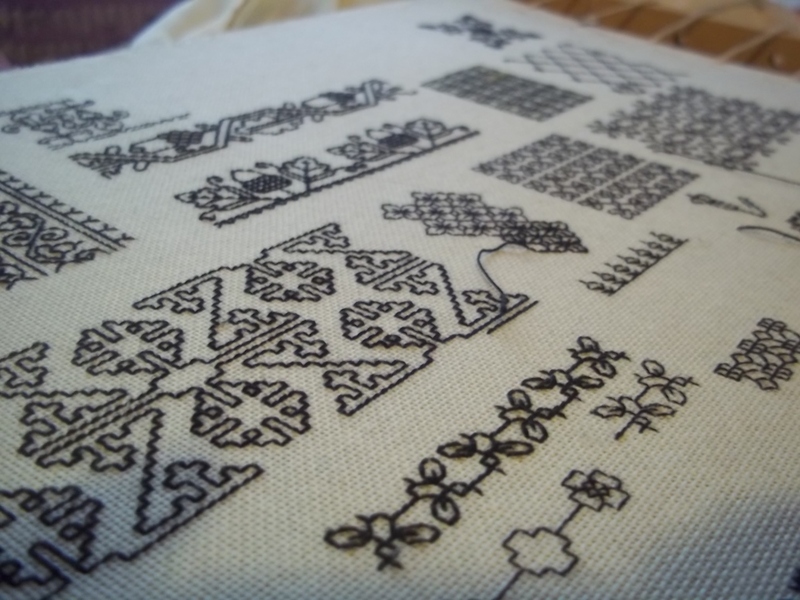 I really like the tapestries of Amanda Gizzi and this is a technique she uses a lot. I also used eccentric wefts for the first time and love them. 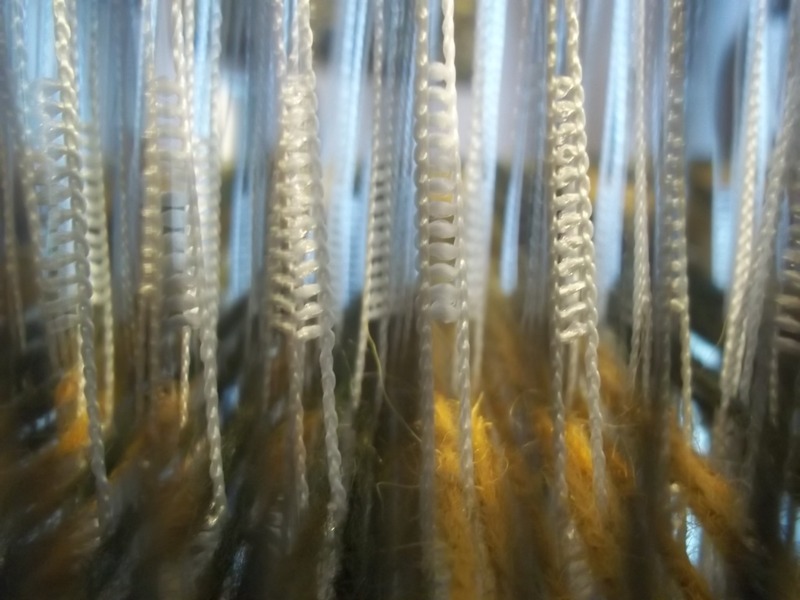 There wasn’t much blending on the bobbins, because of time I couldn’t do samples, but the hand dyed yarns did offer some inherent variation and interest. It was such a pleasure weaving discreet areas, I didn’t keep ending up in the wrong shed. It was also such a tonic to work with colour. I think this was just the break I needed from The Hanging Tree. 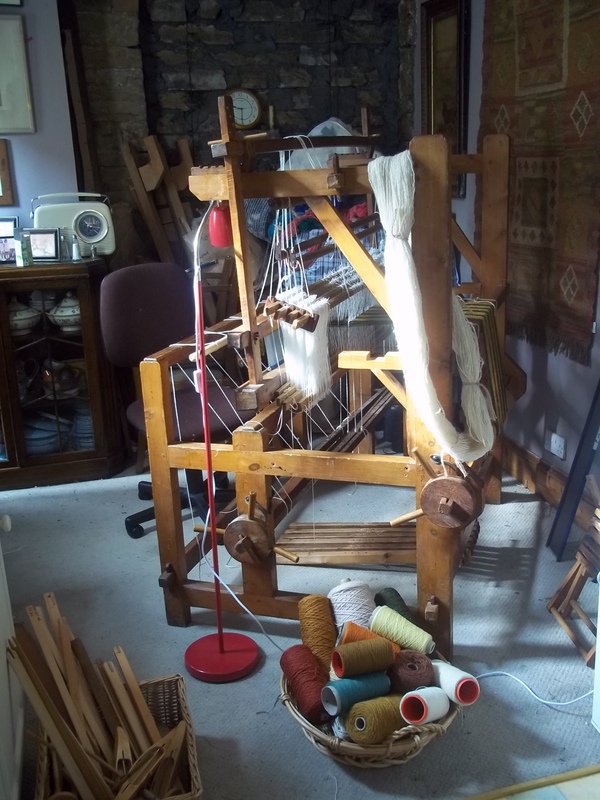 I really got to know my upright loom Doris but suspect I have been spoilt rotten by her treadles – such a joy compared to the leashes. There’s a lot I would have changed if time allowed. I don’t like the white for the skin, I would have planned the colours of the hair better, and there’s too much forehead. 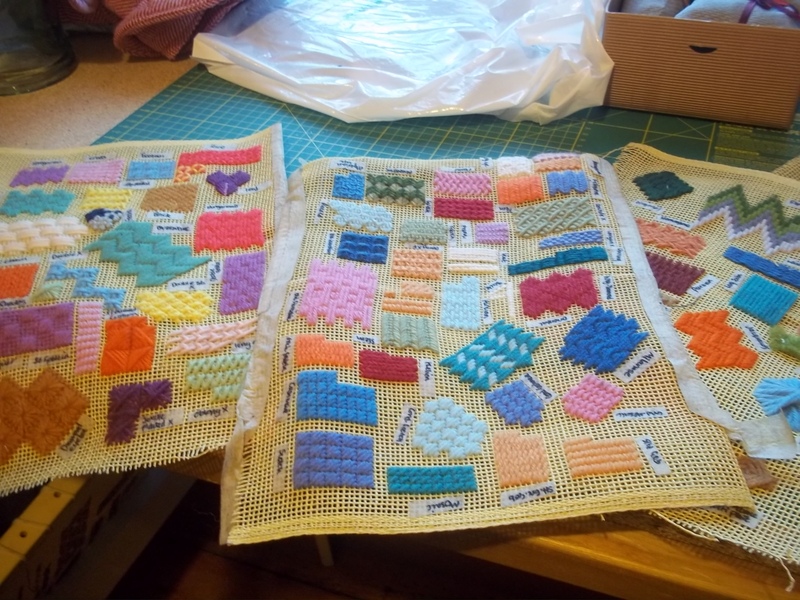 The outlining has added additional weft and I think this has caused a wee bit of buckling in some areas; but all these can be fixed with time and practise. It’s so easy to see the flaws in something rather than the successes. Until a couple of months ago I never thought I could draw let alone do something like this. My head is now buzzing with ideas. I feel there is nothing I can’t at least try. I’m all set and ready to go – I’ve beamed, I’ve raddled, I’ve threaded, I’ve slayed, I’ve tied on. When it came to warping up everything I had read put the fear of god into me but in the end it all proved rather intuitive. 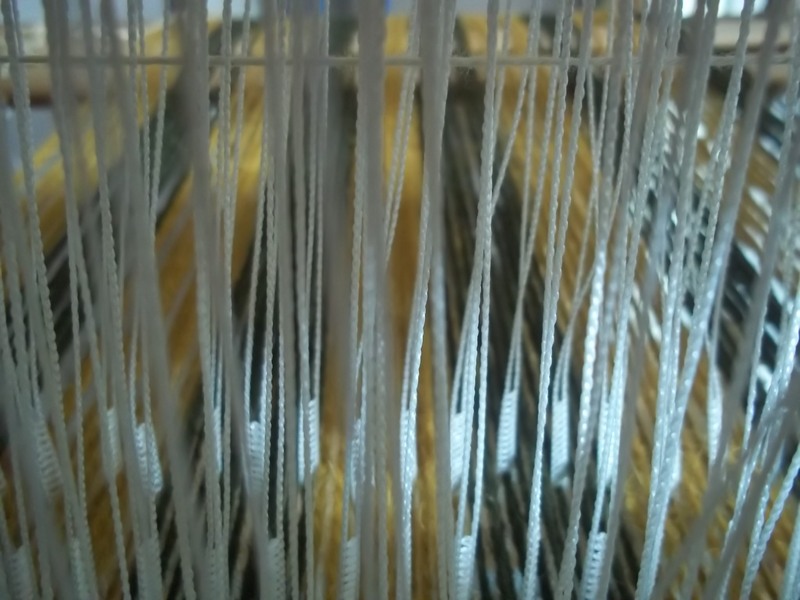 The loom itself is so well used and full of dents and nicks and shaded patches it’s been like the loom itself – or rather the weavers before me – have walked me through the process. 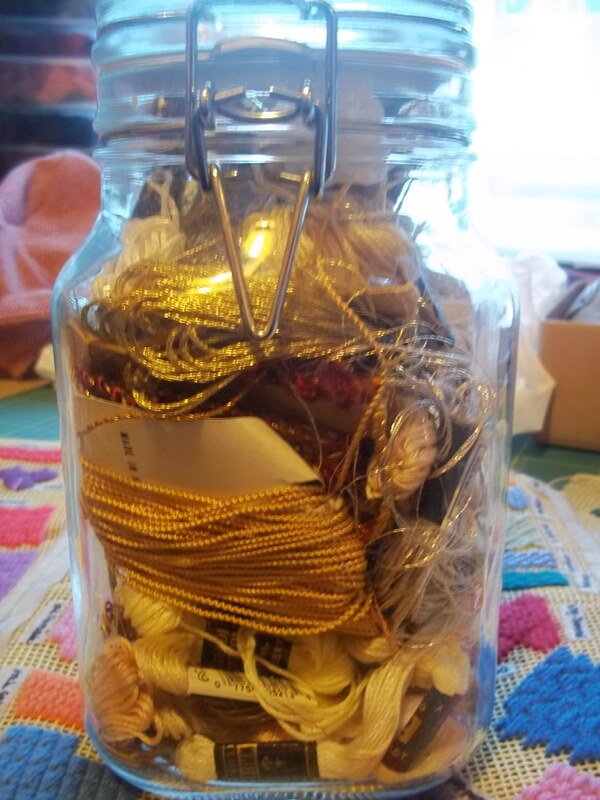 I’ve also been making use of Deborah Chandler’s incredibly clear and well written Learn to Weave. I feel very confident in her hands, as well as knowing there are people I can turn to on Ravelry if I get stuck. Even though I’ve been sitting next to a window and with my back to an open door, the only real problem has been light. I went out and got a floor lamp half way through threading and while I was at it got a wooden broom handle from Wilkos to use as a front apron rod. 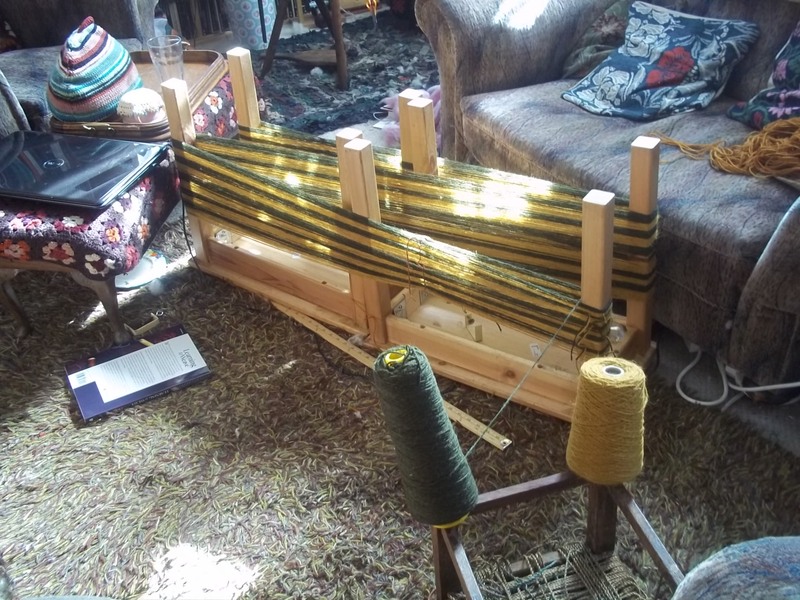 I’ve painted a bit of wood this morning to make a raddle but yesterday my peg loom worked quite well as a makeshift one. 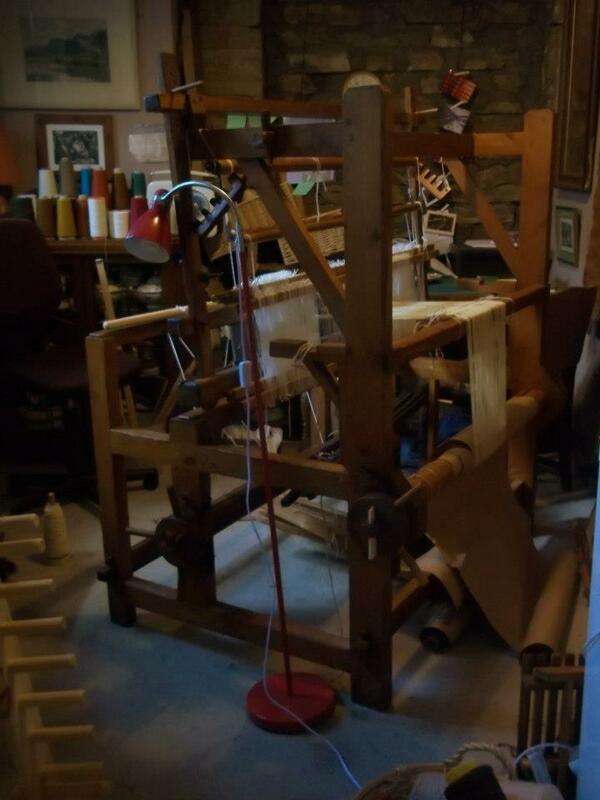 I only dropped it off the loom once. As Dot at Fibre2Fabric has suggested, I’m going to hammer in some panel pins (when I find the darned things) 1/2 an inch apart. 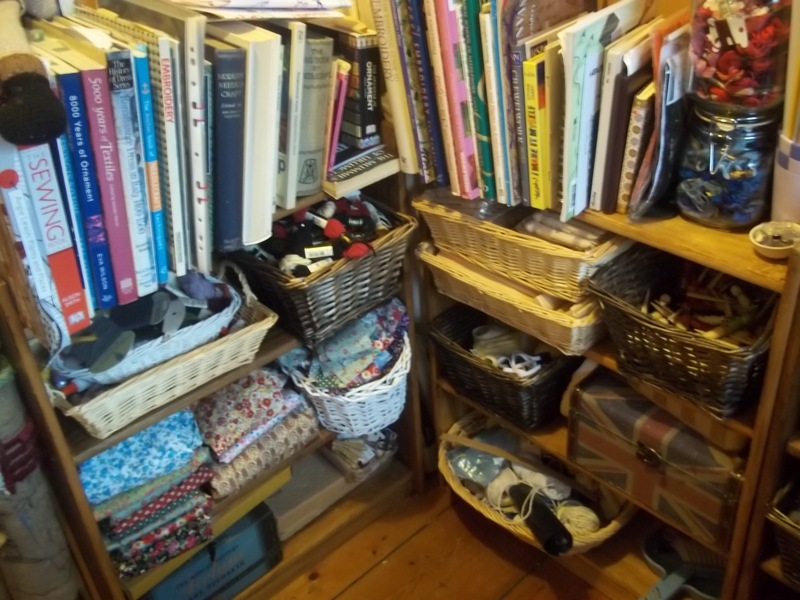 There’s a ledge on the loom which seems to be for the raddle and I can already see how useful it is going to be. 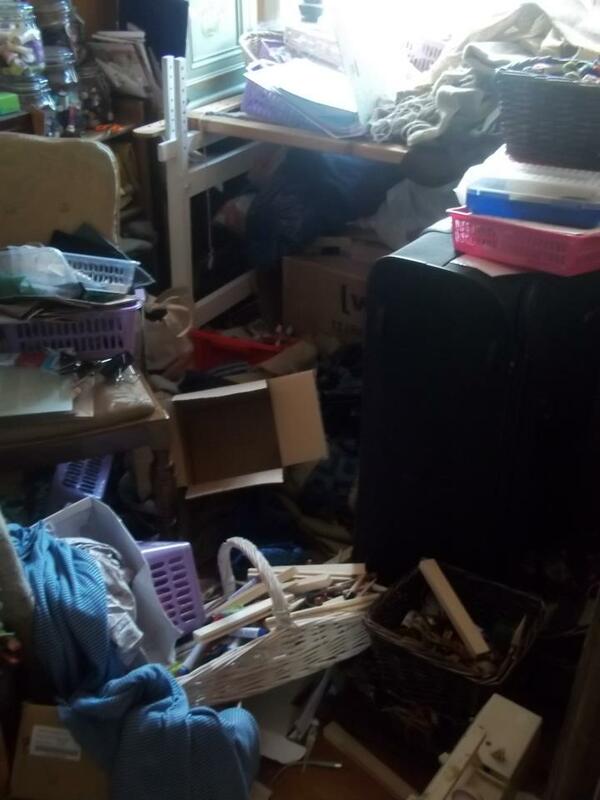 So, paint drying, work area tidy, washing up done; no excuse but to go get on with it! Well, I’ve lost my heart…. I’ve been a little bit naughty. He’s a four shaft counterbalance loom and I love love love him. 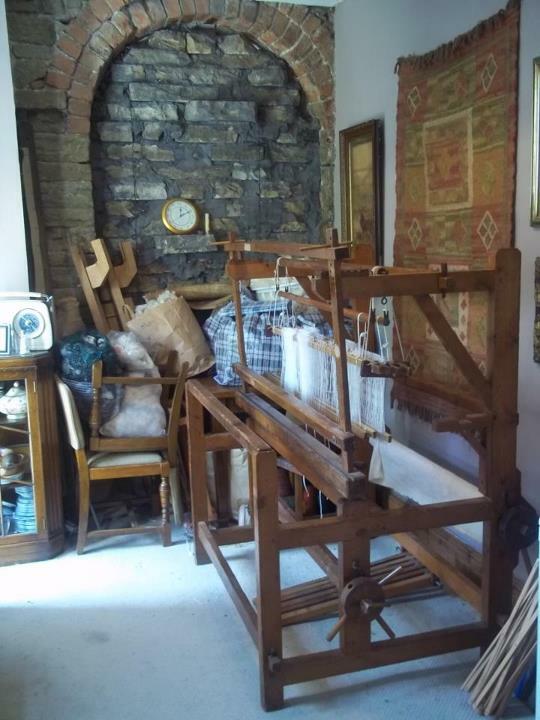 I have been searching for a loom for sometime now and in the end it all happened rather suddenly; this one came up a few days ago on the Loom Exchange and he was even local to me. His previous owners were incredibly kind and even brought him over and set him up for me. 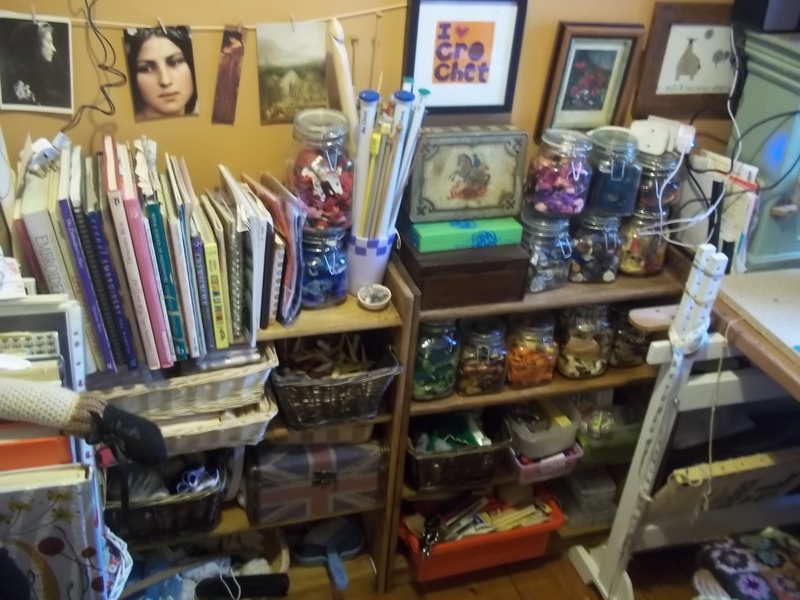 I’ve had a few queries and have been making use of the modern day courtyard sisterhood that is Ravelry and one lady in particular has talked me through a few of his quirks/my ignorance. 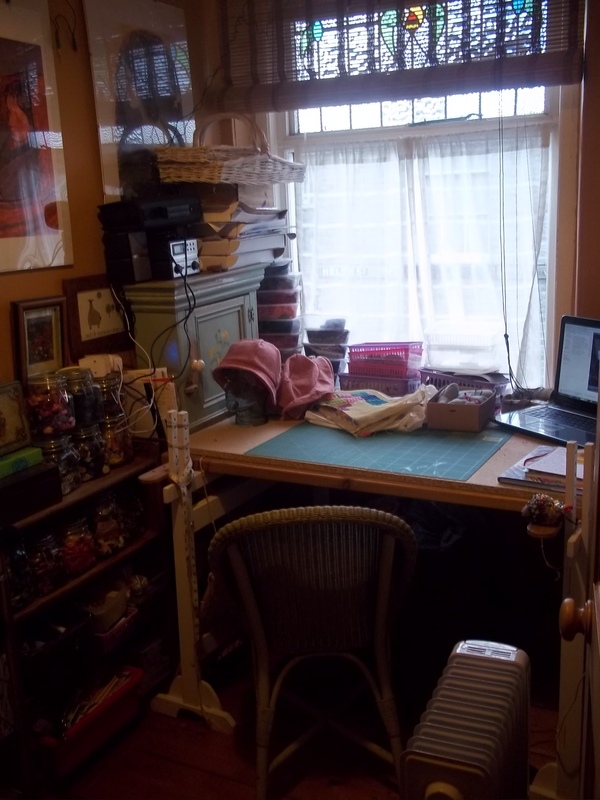 I’m particularly keen to get going as I’ve already prepped my warp – I don’t have a warping board but fortunately as we all know necessity is the mother of invention and I threw a couple of Ikea side tables on their backs and voila. 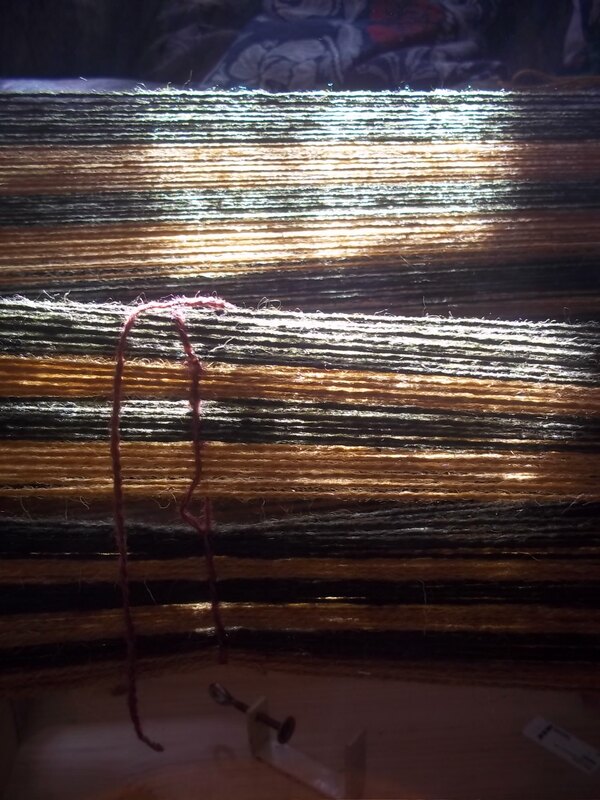 And now, some sunlight through my warp. However, it looks like I’m going to have to cover him up in a couple of sheets and pretend he isn’t there, as I have just found out I’ve been selected for the Maker’s Fair Festival Special. Only a few weeks to go (cripes!) 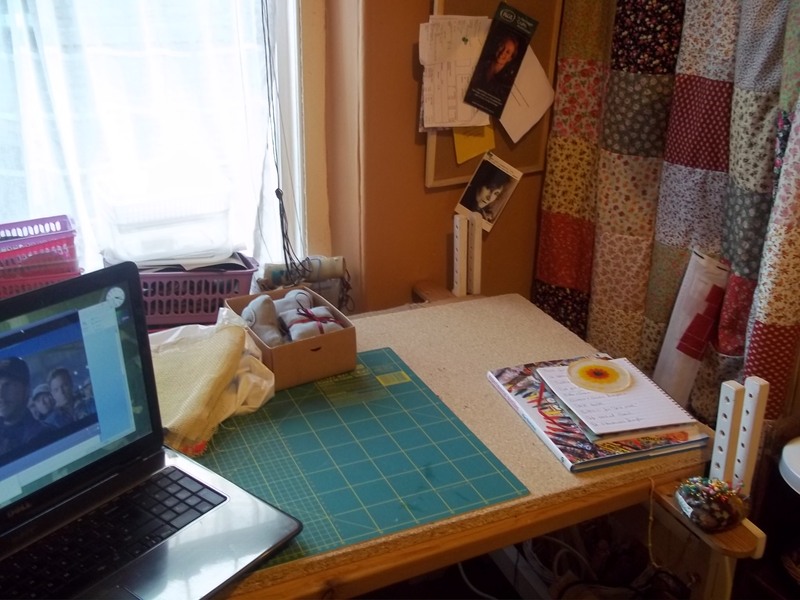 so I really need to go and make some more rugs. Do we think I will manage it, or do we think I might have to play with Boris (yes, really, I’m sorry) for a few days until the novelty is out of my system?